The proposed project is part of a program initiated by PROTOS and its local partner NGO FIKRIFAMA which started 01/01/2007. • Water borne diseases are very common and have a significant impact on household productivity and expenditures and can be reduced by 70% through clean drinking water provision and improved hygiene and sanitation. • Local authorities do not have sufficient know-how, capacity, and means to assume their responsibility of providing and managing public service delivery in the water sector. • The agricultural sector has a need for a more sustainable and efficient use of water for rice production. There exists an expressed need by local governments and existing development and water user committees for the development of an integrated management plan for the Andromba valley in order to plan water use for consumption and for agricultural production and for developing an investment plan and viable management structures. The project aims at satisfying the basic water and sanitation needs of the rural population living on the Andromba plain within an integrated water management perspective whilst building capacity of local actors to ensure sustainable management of the water resources. 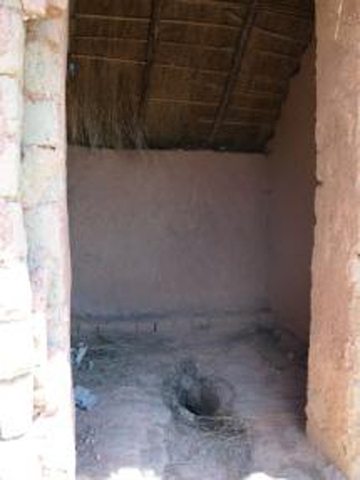 2.Construction of school and household latrines accompanied by hygiene sensitization programs lead to changed attitudes and abandoning of unhygienic behavioral practices of more than 80% of the rural population. 2. 639 schoolchildren have access to latrines at school, hygiene sensitization material for adults and for children has been developed, extension workers and teachers have been trained in their use, and the extension activities have started at schools and within communities. 4.Reflections and meetings have been held with municipal and intermunicipal representatives to set up a communal monitoring and support cell for drinking water installations management. In this present proposal we ask for co-funding to be able to construct two additional drinking water systems; one in the Municipality of Alakamisy which will provide water to 4,340 people (this funding round) and one in the Antambolo Municipality which will provide water for approximately 3500 people (additional funding round). Our approach builds on more than 30 years experience in the water sector and is based on strengthening the legitimate roles of the different actors (local government, regional government, civil society, private sector, and water user associations) within an integrated water resource management framework. It is adapted to the Malagasy context and follows the Malagasy decentralization and water strategies. Our partner NGO, FIKRIFAMA, has also more than 20 years experience in the water sector and is responsible for the social engineering, the training of water user associations, and the extension work. The private sector is involved: studies are executed by local engineering firms on the basis of detailed terms of reference and the works are carried out by local contractors through an open tender procedure. PROTOS and FIKRIFAMA engineers provide technical expertise and monitor the studies and the works and assure quality control. The water users elect a committee responsible for distribution, operation and maintenance. Each water user pays an annual fee to this committee which goes to an operation and maintenance fund. Local technicians are trained in operation and maintenance and sign a contract with the water committee. The 6 municipalities of the valley set up a common “water unit” to provide assistance to the different water users committees. Each municipality signs a contract with the water committees operating on their territory that specifies rights and duties of water users, water committee and local government. Springs in the mountains are protected; main line is a gravity fed system in PVC pipes to a reservoir, gravitational distribution through HDPE pipes to public standpipes. The project for which we seek funding concerns 2 new water schemes; one to be build with the contribution of the 1st funding round – another one hopefully to be build with the contribution of the extra round. The community makes the request to the municipality. The municipality looks at the requests, sets priorities, and decides (with advice from PROTOS and FIKRIFAMA) which villages to serve first with the available funds. With the communities whose demands have been retained, FIKRIFAMA starts the “social engineering” which includes meetings with the community to explain the whole process, discuss community participation and responsibilities, explain technical studies, organize the election of water user committee members and train them in their roles and responsibilities. The communities participate in the works with non specialized labor and a financial contribution. The municipality also puts a financial contribution. After the works have been finished the municipality signs over the work to the water user committee which then become the “owners and managers” of the system but with an obligation to report to the municipality and assure good and transparent management. The municipality has the right to control and intervene if the water user organization does not play its role. Each family member contributes between 2000 – 3600 Ar (1.00 – 1.80 USD) per year to make use of the system which goes to an operation and maintenance fund. This is usually paid after the rice harvest. The project works closely with the government directions. PROTOS and FIKRIFAMA are both member of the national WASH platform that supports government in sector strategy development. Main principles of this strategy include community organization, responsibility of municipalities and stimulate cooperation between municipalities, payment for water, IWRM. Cartography of the area and establishing a natural resources management plan to guide future development interventions and assure sustainable water use. Although Madagascar politics is in a period of transition this should have no impact on the execution of the project. First stakeholders are the water committees and the local government – they are not directly concerned by the political instability. - contracting procedures between all local actors, inducing a shared goal of good governance. Water systems built earlier have shown that approximately 360-510 USD is spend per year by the water user committee on operation and maintenance. Each system is used by approx 3.000 people which comes to 0.12 to 0.17 USD p/p/yr. To be able to also face more important reparations or a rehabilitation of the system, the committees are being accompanied to set up and manage savings accounts. Considering a lifespan of 25 years and a depreciation of 4% per year, an average system needs to mobilize 4,000 USD per year, which comes down to between 1.3 USD p/p/yr. Overall cost is therefore close to 1.5 USD/yr while the tariff in the villages is between 2000 – 3600 Ar (1.00 – 1.80 USD)/yr. Savings accounts for rehabilitation and depreciation will probably come under supervision of the common water unit, created by the 6 municipalities. The municipality is the legal owner of the water systems but delegates operation & maintenance responsibility to the water user committee through a formal agreement. The water user committees organize the operation and maintenance of the system and assure that the water users pay their yearly contributions which are deposited in saving accounts. Locally trained technicians are contracted to carry out maintenance and repairs. Experience so far has shown that the communities are willing and able to pay the contributions, for the systems already constructed within the program most have a 100% contribution rate, with the lowest percentage being around 70%. You have shared that FIKRIFAMA has over 20 years of experience in water sector work, can you tell us a bit more about them and what have been the highlights of working with them (especially in your vast experience working with other local organizations) and what have been the major challenges? Is the manual that you use to train the local partner in "administrative and techinical procedures" available for others to see? What has been your experience thus far with local engineering firms that you work with? Is their capacity sufficient or have you also helped to strengthen their skills and approaches? thanks for the interesting and well-designed project. As it is part of a larger operation co-funded by the EU, I guess there are some (mid-term) evaluation reports available. If this is so, it would be very valuable for us to read about the experiences so far. As you know, Madagascar is a French speaking country. So, project files and reports are in French. I added the 2008 yearly report in our application file. Hope you read some French to appreciate the 2008 report. Do you also want the whole Technical and Financial File (some 80 pages - also in French) ? Your program seems as if everything has been set up for success and carefully planned out. What I am interested to know is what the major barriers are and the challenges that you have seen so far and foresee in the upcoming implementation phase? For example, you explained that most of the systems which are already constructed have a 100% contribution rate from the community, with the lowest being 70%. So, what happened in the case of the 70%? What are the cultural, traditional, gender, education factors that affect how your projects are carried out and the adjustments you have to make here compared to other places you have worked? Thanks for your thoughtful answers that will surely help all of us to better understand working in Madagascar! - The water users committees (and the whole community) are trained in organisational and management capabilities and technical skills for a selected group of community caretakers. This is done by the local NGO FIKRIFAMA through some basic training tools in Malagassy. Training is on the field including workshops, exchange visits and sofort. - Local authorities are stimulated and backstopped in order to increase their planning capacities and involvement in local development. There are workshops on specific topics (viability of water systems, comprehensive planning of the water and sanitation sector, vulgarisation of the national water policy...). In the same time, the local authorities participate to meetings in the villages and have to take their responsability with respect to local contribution, water rights, contracting the management of the water systems to the WUC... Those practical exercices learns them how to organize themselves in the sector. - FIKRIFAMA is a "service providing" NGO. They have worked for more than 20 years on the technical stuff and on community mobilisation. They have to improve their approaches now and to shift from a social constructor to a facilitator of a local development process (in the water & sanitation sector). So we help them to introduce comprehensive approach and tools for health and sanitation, we help them to make a local development plan for the sector, we train them in more sophisticated technical skills (WaterCad, GIS, IWRM...). PROTOS and FIKRIFAMA are building up those capabilities together: e;g. we have experience in the PHAST-methodology, they know the Malagassy cultural and social context - so, together, we can adapt the existing PHAST-tools to an appropriate kit for their context. I don't have an "administrative and financial" manual, and our team in Madagascar is on holidays. We have a lot of tools and help the local partners to understand them, use them and modify them for their own purposes (that have of course to be in line with our reporting needs). 3) Untill now, FIKRIFAMA has been the constructor of the various water systems. We work together with local engineering firms for more complex studies (e.g. mapping of water ressources and needs) but they also need an intensive coaching during their job. Hope this helps you a bit. If you read enough French, I can still forward you some tools and manuals; just let me know. This is a really great proposal, concise yet powerful. You have quickly showcased your earlier work and your plans to build on it. Your work and reputation is solid and it is reflected in the fact that you have secured a large fraction of the funding already. Your experience is deep so, its hard to provide any technical or social feedback. One area i feel that Protos can improve is to better connect with the supporters of Peer Water Exchange and Blue Planet Run. This large project could use a few stories and individual highlights to show its impact. An interview with a family or schoolkids to show life before and after would be great. With pictures, video, text one can see a project like this can not only transform the physical life of people, but empower them. This will help increase support for this type of work and the water sector in general from individuals and groups and smaller institutions. - how well are the sources protected now and future? - how fast is the population growing? - how is water demand estimated and managed? What type of capacity building to continue the work till entire population of 50,000 is reached. I see the nice C2C materials for education and behaviour change; i am referring to skills required to keep building more systems, to manage them, and to raise resources for them. Finally, i would like you to consider putting this entire project including the previous 10 structures and all the following ones so that we can both see how the region will become 'water-served' but allow for long-term assessment and reporting (formal and informal). ps: do you feel that PWX should have a few pages in French (we have Spanish and Hindi now)? 1) I do agree with you that the PROTOS staff in the field is not always very proactive in creating tools for mobilizing public support in the North. Most of our funds come from rather institutional partners and they are rather interested in figures, reports and that. But you're right that this should be extended also to more "speeking" tools such as individual highlights. 2) Water sources are badly protected now. The project works on protecting the spring areas. In the same time - but on a longer run - we also work on sensitization for a more sustainable management of all water ressources through the IWRM approach. 3) Population growth. 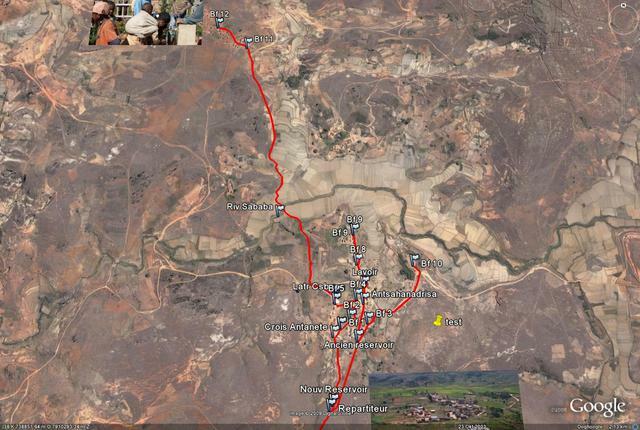 I don't have details of the technical design for the water schemes and our office in Madagascar is now closed for holidays. What I know is that we make a difference between water schemes in rural areas (2% population growth a year I presume and 40 l.p.c.) and semi-urban areas (3% a year I think and 60 l.p.c.). I share some of your other reviewers' feelings that the number of persons impacted by the program you propose may be exaggerated or the impact should probably be viewed as rather small. Hygiene education takes a lot longer than a water project so I tend to think of it as a separate project. Also your presentation seems to deal with irrigation water as well as drinking water and it is not clear to me how these essentially different uses of water are dealt with and separated in your management scheme, ( it takes about a hundred times as much water to raise fundamentally the economic level of a family by providing irrigation as it does to provide clean water for its consumption needs). I am quite open to read the details (especially the technical details) of your project in French even if it is 80 pages long, as I am of French birth. I just added the Technical and Financial File written in 2007 (in French). I can garantee you that the number of persons impacted is not exagerated ! On the other hand, I do agree with you that the level of impact is not the same for all of them. The proposal submitted to the PWX is just for one year and just for two villages, but it's part of a larger program PROTOS is implementing together with FIKRIFAMA in the 6 municipalities. This program is designed for 4 years (and we have the objective to continue with a second phase of 3 years). So, if we are talking about the hygiene and sanitation component it's not limited to the one year or the time needed to build the water scheme ! On the longer run, we are working on IWRM since we think that different water uses and water users have to be considered to garantee sustainability of water ressources and water services. In this 4 years program, we just make a mapping of water ressources and water uses/users and sensitize stakeholders on the importance of IWRM. So we are not building irrigation schemes. But the idea is to extend our activities in the second phase to other water services and needs (such as irrigation, may be also fish breeding, erosion protection, water recycling for agriculture...). In your proposal you are talking about the Staff, partner NGO, Selected local private sector and local government will benefit from training and employment. Can you clarify how the mentioned groups will benefit from employment? Show clearly in your budget , introduce another column showing exactly the amount requested from BPRF and other sources. 2°) A good management of the water schemes - introduced by the project - creates also a few sustainable jobs: the local technicians in each village that recieve a small contribution for their work and the supervising technician the different water committees and municipality have recruted recently - all of them payed by the water users' contributions. 3°) The improved skills of the Fikrifama staff, some local enterpreneurs and municipalities gives them a better position in the "water market" and helpes them to find some other contracts and projects. These impacts are of course not the main objective of the water project, but we tought it to be interesting to mention it also. With respect to budget, it's hard to split things up. The BPR contribution doesn't have another colour than the EU or Belgian money (even if the first is in dollars and the latter in euros). If we want to realise the project we have to put together all those different contributions. One can not say EU is funding the spring and the main pipe while BPR funds the distribution scheme and standpipes - since it doesn't make sense to do the spring and main pipes if there are no funds for distribution and standpipes (or inversely). The number of people recieving other benefits is quite high, which is ascribed in part to increased government capacity with regard to water management in the project region. Even in consideration of the statement on government interaction, I am still not clear on how local government will be engaged or how capacity will necessarilly be built in a replicable, scalable way. Could you elaborate on that as well as on the beneficiary definitions applied here? How are beneficiaries, particularly those recieving other benefits, defined and counted? 1°) New (or rehabilitated) water supply schemes for villages - the submitted project aims the construction of such a scheme in the village of Alakamisy (1st round - 4,340 beneficiaries) and of Antambolo (2nd additional round if funds are available - 3,500 beneficiaries). 2°) Training of water committees, sensitization of water users, hygiene training, improving management capacities of all local players in all the villages that already have a water system or those where a water scheme is build during the 4 years program (30,000 beneficiaries). 3°) Strengthening of local government with respect to the water sector: planning capacities (mapping of water ressources and water supply schemes and needs, sectorial plan for the next years) and management skills. E.g. : the six local governments decided recently to start up a commun technical support service for the water users committees of the 6 municipalities; the individual WUC remain responsible for daily operation and maintenance while the intercommunal service assists them for more complex interventions. This component concerns the whole population of the 6 municipalities (51,500 people) since it contributes to an improved management of all water services and water ressources. - innovative tools and approaches that are made available for all players in the national water sector - since PROTOS is an active member of the regional and national WASH-committee. You have a very impressive comprehensive approach that really seems to have sustainability as a defining factor! Points 3 and 4 in your "Expected Results" section focus on strengthening local government and civil society organizations and strengthening the techinical, methodological and organizational capacities of FIKRIFAMA, will you plesase describe for us the actual, on the ground methodology for doing this (i.e. week long workshops, time frame and participation, etc.)? You organization is well funded by various stakeholders and you have also contributed generously in cash and kind. Please confirm who carries out capacity building, community mobilization, monitoring and evaluation between you and water users committees, local government, or municipalities. Otherwise the program seems to be a success story because it is serving a lot of people. The project is implemented through an alliance of PROTOS, the Malagasy NGO FIKRIFAMA and the 6 local governments (through their intercommunal umbrella organisation). With respect to the community mobilization, meetings are officially organised under the leadership of the local government (communal level); this contributes to their visibility and responsability - providing safe water is a responsibility of local government ! The methodological support is provided by sensitization and mobilization officers of FIKRIFAMA - they facilitate the meetings and give training. PROTOS senior staff (expats and locals) works together with the FIKRIFAMA staff - introducing new sensitization tools and methodes (e.g. PHAST methode, C2C-tools). On the other hand, new concepts are progressively introduced (e.g. IWRM) and local authorities are strengthened in their role. These aspects are rather managed by the PROTOS senior staff - but always with a strong participation of FIKRIFAMA and the local authorities. This contributes to i) a better understanding of local context and opportunities and ii) an improved ownership of the new conceps by the Malagasy partners. Can you elaboarte on the C2C-tools? Is PHAST your primary tool for teaching hygiene and sanitation and if so why have you chosen that as the model to use? Can you elaboarte on the C2C-tools? Is PHAST your primary tool for teaching hygiene and sanitation and if so why have you chosen that as the model to use? I just added an English version of a training manual on C2C approach in our application. We developped it also for French speeking countries, but I imagine you rather can be helped with the (original) manual in English. With respect to the PHAST-tool, some organisations in Madagascar are using it since a few years and it gives good results. Advantages are the comprehensive approach with a lot of pictures and drawings so that men and women in the villages can see what happens. We also made a video (also in French of course) that illustrates the whole process. It brings some life in the villages and people can recognize their own situation - a first step to local conscience and initiatives. They have wealth of experience and the project cost is relatively high. I will advice that they ensure the maintenance cost of USD 4000 is ensured for any major repairs/maintenance or else sustainability of the project in the long run might be a problem. I have no personal first hand experience with PROTOS or working in Madagascar but they have a very comprehensive and sustainability-minded program that is exciting to study and inquire about. The scope of the project is impressive and what a great model if it is in fact effective because that should be our ultimate goal is to have a large impact! I hope they will share more on this forum about the specific successes and challenges of their implementation as time goes on. It appears the project will have very strong management with a definite and measurable capacity building component. I am still not sure about beneficiary counting procedures, but I do not think that materially diminishes the merit of the application. I would like to see a more community-based approach in general, but feel that the project as described does in fact require a sufficient community contribution. The project is viable and obviously the other finders had considered all the variables to be abvle to fund them so generously. A very ambitious proposal by someone who likes large projects. Hope the reporting can be more frequent, informal, to show progress and human impact. An important program carried out by two seasoned NGOs . Protos seems to be the one that provides the up to date technical support and Fikrifama seems to be the one that is familiar with the terrain and the population. The gravity systems contemplated are of considerable size and as an adept of such systems I am eager to learn more about the details of the techniques used and to compare them with our own. The cost per beneficiary appears to be high but so it is for gravity systems in general- and one needs to take into account the superior service and other advantages which they provide.